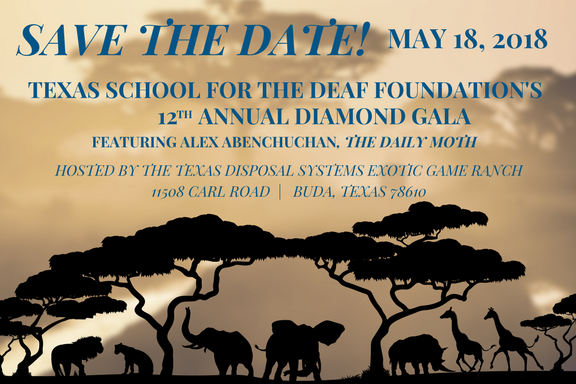 Join Texas School For The Deaf Foundation on May 18th, for a Fundraising Gala. Hosted By The Texas Disposal Systems Exotic Game Ranch, featuring Alex Abenchuchan, The Daily Moth. Gala location The Texas Disposal Systems Exotic Game Ranch 11508 Carl Road, Buda, Texas 78610.